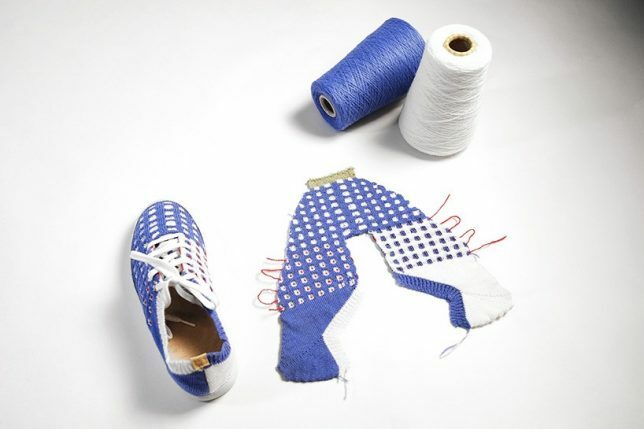 Borrowing logic from the 3D printing industry, Kniterate lets users turn ideas and designs from digital files to one-off wearable garments in hours. 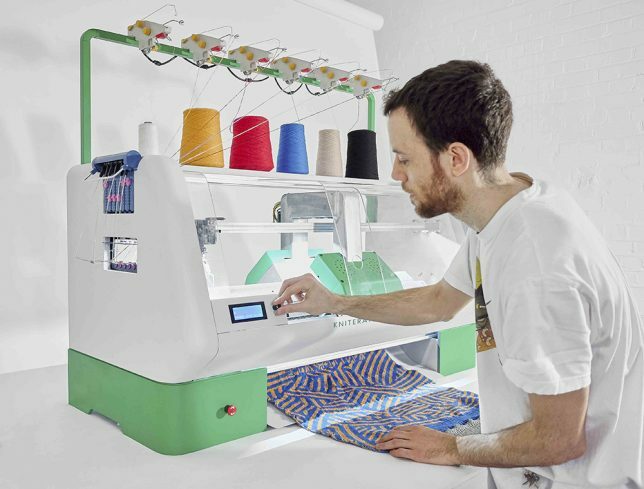 Able to “print” shirts, scarves, sweaters, dresses and more, the machine is aimed at enabling customized creations as well as rapid prototyping. 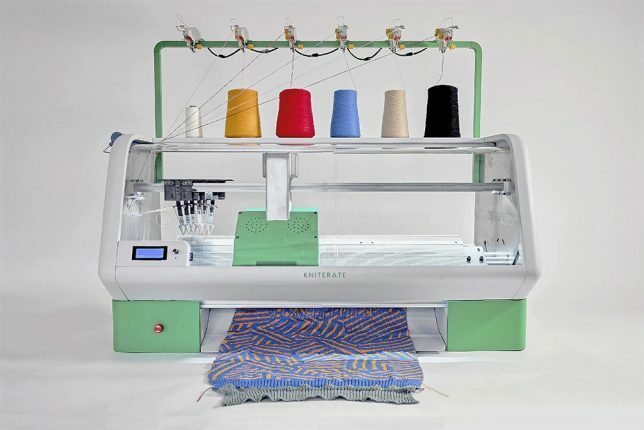 Compact, portable and affordable, the gadget itself links into computer and mobile apps – creatives can build out ideas in Photoshop, build them in Kniterate’s device-specific application, then send them to straight to production with the touch of a button. The application comes with a number of preset patterns that can be used but the intuitive interface is also designed to allow for easy from-scratch creations, even by people with limited digital design experience. 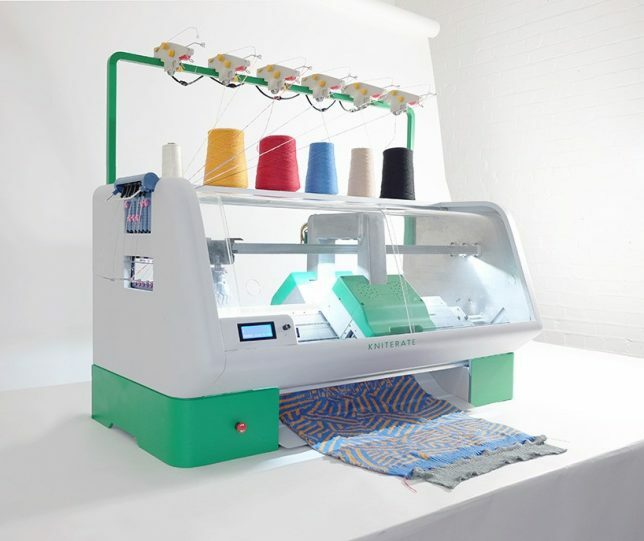 Even in cases there the final product will be made via other methods or materials, this machine allows for iterative design experiments to test size, fit and styles. 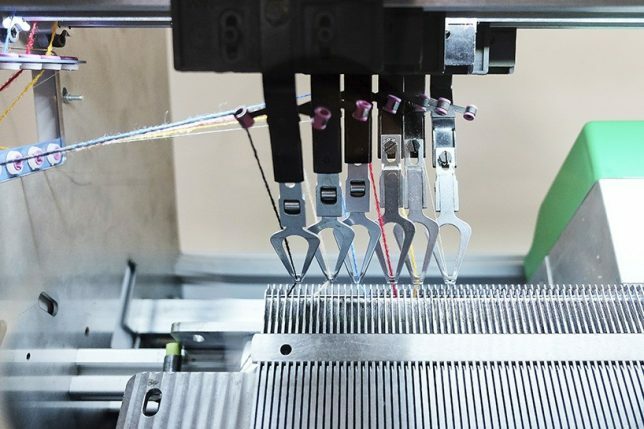 The system is also designed to reduce waste from off-cut materials, printing with the exact amount of material needed to make a particular piece. 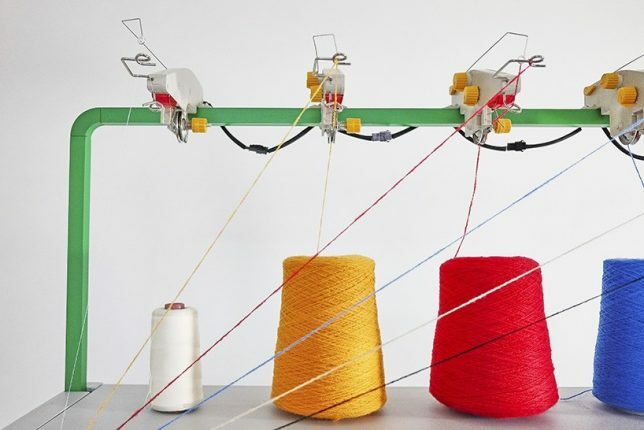 The device can carry up to six yarns at a time to span an array of colors and materials – it is also made to be compatible with off-the-shelf yarns, making it more flexible and affordable than printers (often designed to make money from material sales rather than the machines themselves).